This stunning exhibition traces the history of 20th century art in textiles with highlights including prints of work by Salvador Dalí, Henri Matisse, Pablo Picasso and Andy Warhol. See over 200 rare pieces displayed in the UK, outwith London, for the first time. 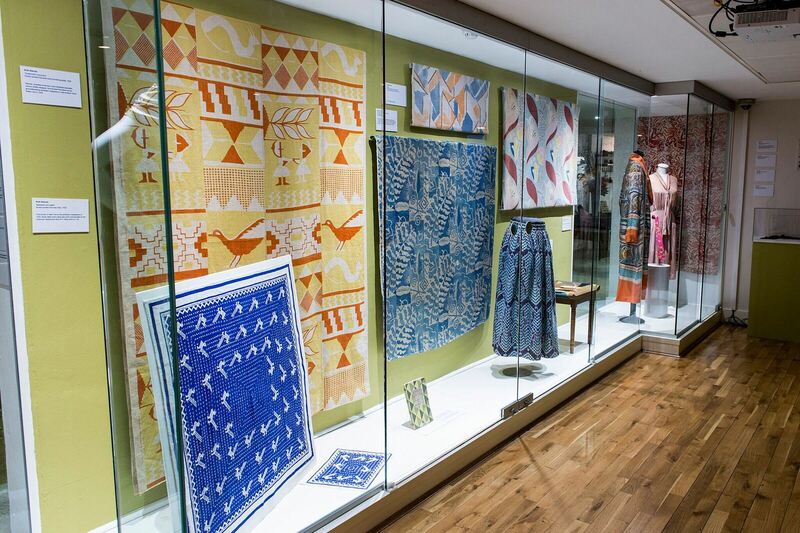 Artist Textiles shows how ordinary people were once able to engage with modern art in a personal and intimate way through their clothing and home furnishings. The exhibition features examples of key European and American art movements: Fauvism, Cubism, Constructivism, Abstraction, Surrealism and Pop Art; as well as the work of leading fashion designers and manufacturers. New Lanark are delighted that Artist Textiles will be the first exhibition to open the redeveloped Exhibition Gallery in 2018.